Yesterday I put my additional chapter into "The Movie Star's Very Personal Assistant," weaving it in so it fits seamlessly. The problem now is that I have 45K words and I need 50K. Arrgh. Since my mother-in-law is visiting, she watched the baby while DH and I went out to see "The Stepfather". It was a good thriller, there were just way too many noisy kids in the theater. 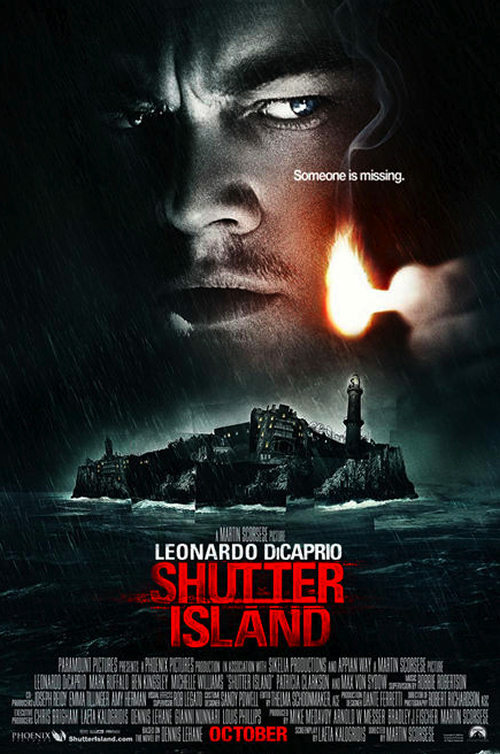 I'm reading "Shutter Island" by Dennis Lehane. I'm really enjoying it. The first couple of pages I was going, uh oh - is this book going to be boring? But nope. Within a few pages I was absolutely hooked and I stayed up late reading. They made the book into a movie starring Leonardo DiCaprio. Here is an excerpt from an article by Linda Richards about how Dennis Lehane became a writer. Read the whole article here because it's so interesting. There was never any doubt in Dennis Lehane's mind that he was going to be a writer. It wasn't so much a matter of "if" as much as "how" and "when." Lehane wrote his first novel while he was still in college as "a goof, as a fluke, as something to do because I was bored. And to entertain myself." The overworked creative writing student felt he needed a break from all of the "really literary, avant garde short fiction" he'd been writing. He says he wrote that novel in three weeks and tossed it into a box. He was 25. About a dozen drafts later, while Lehane was at grad school, the novel was accepted for publication and saw print in 1994 as A Drink Before the War, the first book to feature Lehane's dynamic Boston duo, private investigators Angie Gennaro and Patrick Kenzie. Lehane says now that he understood exactly what he was doing when he signed his first book contract: he understood the course he was allowing his life to take. "You're leaving one camp and stepping into another. Why mess around?" He knew that the publication of A Drink Before the War would label him, perhaps forever, as a genre writer: "And there's no way out of that, so let's just go all the way. And I'm so glad I did. Oh! Thank God. It's been the greatest accident of my life." Accident or not, Lehane has kept a firm hand on the professional aspects of his writing as well as the creative, understanding as he does the reverberations that a small thing can have on an entire career. "Where you enter the ladder," says Lehane in relation to a writing career, "I think, indicates how far you're going up it." With that ladder in mind, Lehane resisted going the paperback original route as well as manuscript changes to A Drink Before the War that he didn't agree with because, he says, he didn't really have a lot to lose. "What were you going to do to me? Make me poorer? I didn't think that was possible." The idealistic young writer stuck to his guns and stepped onto the ladder on a fairly high rung. He has, he says, no regrets. Lehane says "That's the fun of writing. Flannery O'Connor called it 'happy accidents.' That moment when, all of a sudden, your character does something that you didn't intend him to do and you realize it had been oddly inevitable since the first time you introduced him. And you go: Yeah! That's why I write. That's the high." I totally get that same 'high' from writing. Today I'm going to buy a new laptop so DH has computer access next month during NaNoWriMo since I will be writing pretty much nonstop. I will also be having my parents over for dinner. Still, I hope to figure out a way to add a few thousand words to my WIP.